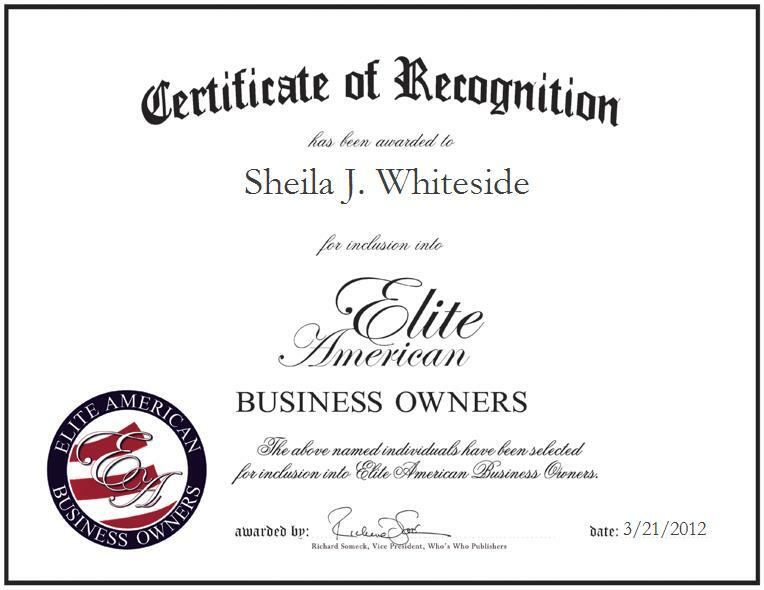 Company: Whiteside Cotton Carriers, Inc.
BESSEMER CITY, NC, March 22, 2012, Sheila J. Whiteside, Co-Owner of Whiteside Cotton Carriers, Inc., has been recognized by Elite American Business Owners for dedication, achievements, and leadership in operations oversights and logistics. Ms. Whiteside is considered to be an expert on compliance management and staff supervision, and she specializes in overseeing the daily operations of logistics for the trucking company. She is responsible for scheduling, serving as the head dispatch, and overseeing human resources and client management. She also handles accounting and financial reporting. With more than 35 years of professional experience under her belt, Ms. Whiteside proficiently runs the premier transporter of dry commodities by being a strong planner and determined businesswoman. Ms. Whiteside became involved in her profession through her husband’s influence, as he always had a passion for starting a trucking company that treats its employees with respect and loyalty. She remains abreast of trends and developments in business management as a member of the National Federation of Independent Business and other industry-related organizations. She received an award from the organization for her exceptional entrepreneurial efforts.